You cannot blame the bankers for being chary of lending the Rs 1,500 crore or so that Jet needs as emergency funds to continue flying in the short term. The bankers have been caught on the horns of a dilemma. They are likely to lose either way. The bankers are well aware that if they don't give out the money, the Jet board has recommended stopping operations. This in turn might deter even the little interest that potential buyers have in picking up the airline. After all, what is the worth of an airline that has practically no fleet left (lessors have taken back around 100 planes it had and the remaining might be repossessed soon as well by lenders) and is operating a truncated schedule with six ATRs and one Boeing 73. It has also a huge workforce that needs to be paid and a lot of fixed costs including food contracts, hanger and other airport charges that will continue piling up whether it flies or not. In essence, the bankers will have to write off the Jet loans - which total around Rs 8,500 crore currently. On the other hand, there is the risk that if they lend and the airline does not find a suitable buyer or if the airline finds a buyer who is willing to pick it up only if the banks waive off most of the dues, they will be hauled up later by vigilance or other authorities. This is a distinct possibility going by the controversy caused by continued lending to Kingfisher Airlines even when it was in dire straits. Many debt-ridden companies that finally went bankrupt, took lenders' money with them. No banker and no bank CEO wants to take the risk of being put in jail after he retires because of a bad loan. Thus, bankers are damned if they lend and damned if they do not lend. At least not lending gives them the excuse that they did not want to throw good money after bad once it became clear that the airline was in deep trouble. Even if they decide to lend, they are running out of time. Jet does not have any decent physical assets that can be sold. It does not own real estate or most of the planes it was flying. Around a hundred of its planes were leased and they have been taken back by the lessors. It owns about 16 planes of its own, but they have been bought through loans and they could also go the way of its leased planes if it fails to meet its repayment obligations. What Jet has are excellent slots in domestic airports and bilateral rights in some good international airports such as London, Dubai and Singapore. These are of great interest to airlines that want those slots - for example, a Tata Vistara or an IndiGo or GoAir or SpiceJet. But even here, the issue is that if those slots are not used regularly, they will simply be allotted to others. Jet loses its rights if it doesn't use them for 90 days. IndiGo and others have already started flying in some of the Jet slots temporarily. That arrangement could become permanent if a potential buyer does not manage to seal the deal, get all the necessary permissions and start using the slots within 90 days. Jet had set standards with its service in the early days but its founder Naresh Goyal was always a better dealmaker and policy influencer than an operations manager. Jet would never have made money or built up the 20 per cent plus market share it did in its heydays if its competition had not been the even more inefficient Air India and others who were also operationally weak. And also because Goyal seemed to have a knack for getting the policy that favoured Jet at all times. Goyal's initial funding was always a mystery. It has two foreign partners from the Gulf who hold 40 per cent of the airline equity and may have pumped in the bulk of the money required to build the airline. His own business Jetair Pvt Ltd, which is a general sales agent for various airlines, could hardly have generated the kind of money required to start up a chartered air service first and then a scheduled airline in 1993. According to some reports, the seed capital was provided by a company incorporated in the tax haven of Isle of Man. Was it Goyal's own money - or was he handling the cash of someone else who was not keen to come in the limelight was never quite clear. Policy changes always favoured Goyal at every step. When he wanted to start and needed investors, there was no bar on foreign capital in airlines in India - which was why Kuwait Airways and Gulf Air were initial shareholders. Later, when the Tatas wanted to start an airline in collaboration with Singapore Airlines, the policy was suddenly changed. 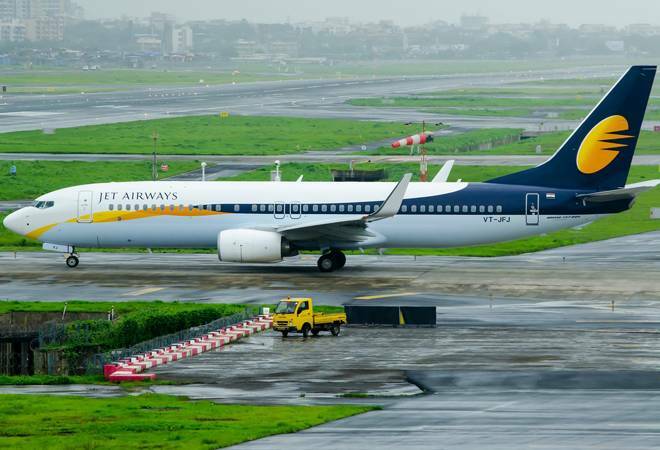 It was changed once again to prevent Jet's potential rivals like Kingfisher from flying overseas unless they had flown for five years and had at least 20 planes. It was because of Goyal that Kingfisher had to acquire Air Deccan to start international flights. Then again, just when Jet mismanaged its finances after taking over Sahara's low cost airline and needed a strategic partner desperately to pump in money, the rule on foreign capital got reversed and Etihad Airways came to rescue it with a stake but little operational control. Only aviation industry followers remember that Kingfisher and Jet were in equally bad shape and they were both scouting for a global strategic partner to infuse cash. Both promoters lobbied heavily but it so happened that Jet managed to get its partner because Kingfisher got grounded after running out of cash. At that point, the battle could have gone either way. The problem with Goyal's deal-making was that it would become useless when efficient low cost airlines like IndiGo and SpiceJet came in and started gaining customers. Jet's bloated costs could not be solved by Goyal's ability to make deals. And the fact that he could never allow any professional CEO to run the airline properly and independently meant that the cost efficiencies could never be implemented. For the current NDA government of Prime Minister Narendra Modi, the failure of Jet is an embarrassment so close to the elections - after all, who wants to have a big brand name in airlines sector go under and thousands of highly articulate pilots, flight staff and others suddenly unemployed. The timing is awkward, which is why the banks were nudged to keep Jet flying until a buyer was found. Unfortunately, the bankers also know the risk of lending to Jet. Jet still might find a buyer. But it would be a brave person who wants to take over the airline with all its current problems.